Yudh Is The Biggest TV Series Ever made In India, Which Starting This Monday At 10.30 P.M. Each Episodes Of Yudh Estimated Nearly at 3 Crores. This serial is Telecasting in 20 Episodes. 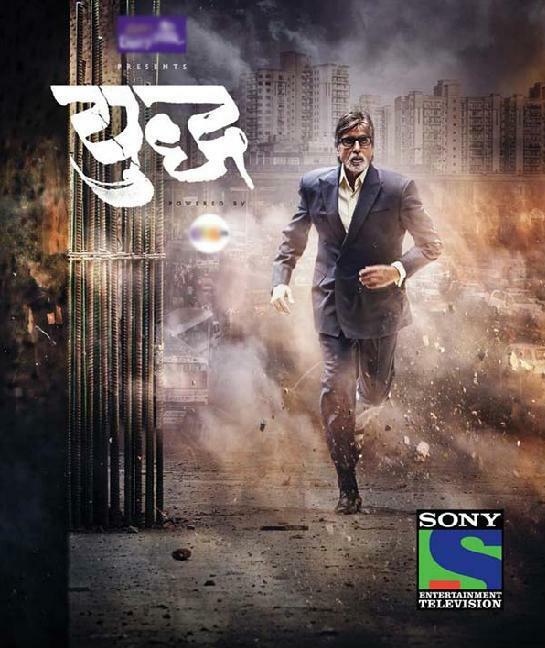 Yudh Television Series Stars Amitabh Bachchan , Nawazuddin Siddiqui, Sarika, Kay Kay Menon etc. Its Directed by Ribhu Dasgupta and Produced by Endemol India/Saraswati Creations. Watch Yudh TV Series Starting On 14th July 2014, Every Monday to Thursday at 10.30 P.M.
Sarika About Her Role In Yudh – I play the role of Gauri, Yudh’s first wife. I am a strong independent woman, an honest civil servant. She is a simple woman who just wants a great family and happiness while Yudhisthir wants to achieve greatness in his profession.